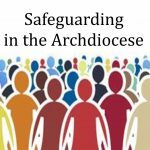 Earthquakes, building strengthening and the 2017 demolition of our beloved Mission House have been unkind to the many and varied symbols of faith we have become accustomed to having around at Sacred Heart College. 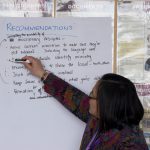 These events have wreaked havoc on some of the old and beautiful taonga, which have for many years adorned our walls, corridors, classrooms and chapel. In the office I share with John Chote, Head of Religious Studies, boxes of broken statues, crosses and crucifixes cover our floor space. While our department has become immune to the broken wood and plaster body parts, it can be unsettling for staff who enter to find Jesus’ foot, Joseph’s hand or an angel’s wing jammed into a banana box. After the 2016 Kaikōura earthquake, the drilling and the demolition, our Special Character Committee did a stocktake of statues, paintings, crosses and crucifixes at Sacred Heart and found many of our spaces wanting. Replacements were also needed for new prefab classrooms, staff offices and sacred spaces created to fill the gap left by the closure of our chapel. It was decided that every classroom needed at least a prayer table, a bible and a cross. The first two, no problem. But crosses were in short supply. Enter St Bernard’s College. A short SOS email to DRS Jonny Boon was forwarded to HOD Technology Patrick Cassidy. 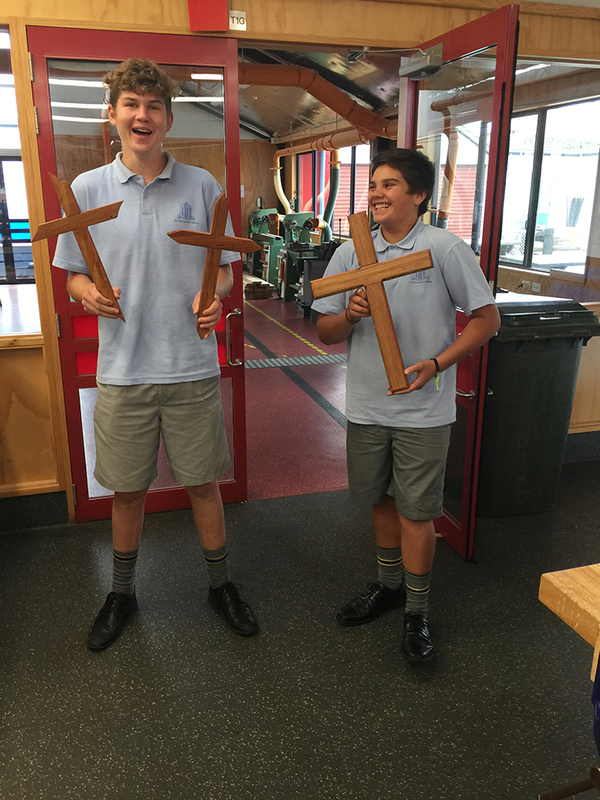 He handed the task of making new crosses to two Year 12 students – Max Allardyce and Jayden Riddell. Their trade skills and spiritual integrity is evident in their work. 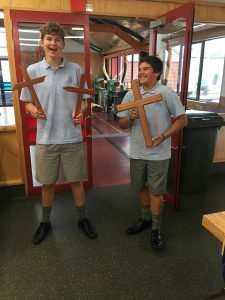 At a morning tea, Fr Joy from Te Awakairangi Parish blessed Max and Jayden’s work, the fruits of which can now be seen in all parts of our college. Their work will now become part of our new history. We thank Max and Jayden for bringing to our buildings, in more ways than one, ‘the spirit of the carpenter’. 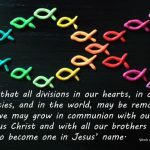 Maria O’Flynn, DRS, Sacred Heart College, Lower Hutt.